Letters from Baghdad, a new feature-length historical documentary that is coming to US theaters on June 2, chronicles the story of a woman who participated in the establishment of the state of Iraq, yet whose name has been written out of history. 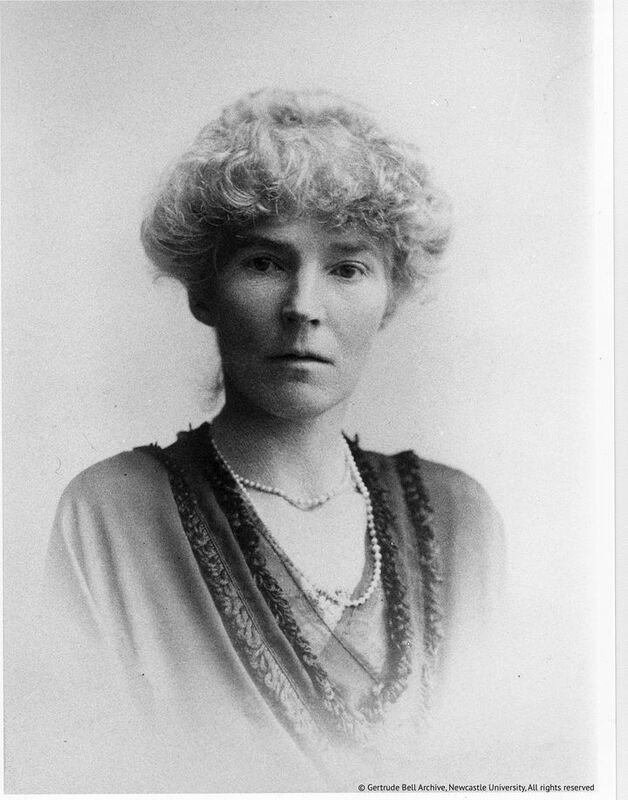 The film, co-directed by Sabine Krayenbuehl and Zeva Oelbaum, reconstructs the life of English political officer and archaeologist Gertrude Bell, who, due to her influence in the Middle East following World War I, became informally known as the "female" Lawrence of Arabia and one of the few representatives of the British powerhouse "remembered by the Arabs with anything resembling affection." Krayenbuehl and Oelbaum built the film, as the title conspicuously suggests, around Bell's letters that she had sent from Baghdad to her native England. Some of her letters lift the curtain of the British imperial policy-making in Arabia, while others give a glimpse of her private, even intimate life as a female political officer in the Middle East. Amid Bell's letters, we find ourselves in a past that seems eerily current. In one letter, Bell recounted an "immense failure" of the British efforts in Iraq as they "rushed into this business with [their] usual disregard for a comprehensive political scheme." In another letter, Bell condemned the Western approach to Iraq’s nation-building process, which she claimed failed to notice the region’s complexities and denied it the possibility for self-determination. In a bid to cast light on the full story of Bell, Letters from Baghdad forsakes the genre's fixation on facts and expert opinions and enlivens it with a degree of dissonance, which most historical documentaries tend to avoid. The film deftly interweaves re-enactments with archival footage to retrace a history that allows itself to be both pliable and faithful to real events. The archival footage in the film not only captures a bygone era but also reminds the viewer of the artefacts lost in the havoc that has torn through the Middle East over the past 15 years. Many of the depicted sites in the film are antiquities, which Bell so adamantly fought to preserve when the British troops entered Iraq after World War I, and which have been destroyed in the Iraq War and by ISIS. Documentary spoke to the film’s co-directors in Amsterdam, where they premiered their film at IDFA in November. The interview has been edited for length and clarity. Why is this film urgent today? SABINE KRAYENBUEHL: There are many reasons. Letters from Baghdad is a film about a woman who has been written out of history. We had a screening at DOC NYC shortly after the [US] election. For those who watch this film, it is evident that we are still dealing with the same kind of rejection of women in power and in high political positions. Our story of Gertrude Bell is exactly that. It is a story of a woman who made a huge difference in history but whose role was overshadowed by a lot of her male colleagues, including Lawrence of Arabia. That is one reason this film is relevant. ZEVA OELBAUM: When we started the film [five] years ago, the US involvement in Iraq was [rather] remote because we were pulling out our troops. We were focusing on Gertrude Bell as a very complex and interesting character and someone who had also established the Iraq Museum. The borders that she helped draw were not at the forefront of our minds. But in the last years, the issue of borders has become incredibly important again. There has been a re-evaluation of the colonial period, the British efforts after World War I, and how artificial the drawn borders are. Bell's criticism of the nation-building efforts of the British, which she offered a hundred years ago, remains incredibly relevant today. It was relevant to us in terms of parallels in 2003, but it has become ever more relevant today. SK: What has also come to the forefront today is the question of preservation of Iraq's antiquities. Bell was very adamant about it. It was her priority early on. When the British troops entered Iraq, she wanted to make sure that [ancient] sites were protected. Nowadays, archeological sites are being blown up. She called attention to how important it is to have a record of where we came from and how we got where we are. [The destruction of these sites] for political reasons today is horrendous. ZO: Bell left more than 7,000 photographs. So many of them were of ancient sites, like Palmyra, which have been destroyed. With archival footage, our goal was to show this completely vanished world, which is so different from what we imagine Iraq is like. That also has a degree of urgency. SK: As we were going through Bell's letters, we got a behind-the-scene look into policies, which is unprecedented. We cannot get that look into military actions of today. When working on the film, we conducted an interview with John Allen, who was a US Marine General in Iraq for a certain period of time. He was involved in the recapture of the Al Anbar province, which was seized by Al-Qaeda at the time. 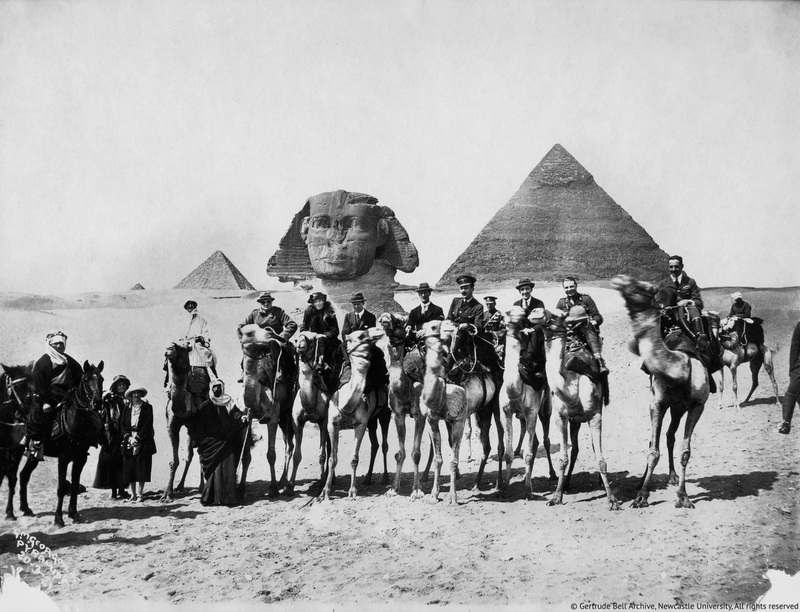 Allen said that he had read all of Gertrude Bell's letters and descriptions of the tribes, which were as relevant to him as they were to her. He noted that, thanks to her letters, he was able to relate to all of the tribes that were helping him in the recapture of Falluja, which was controlled by Al Qaeda. He instructed his troops to read Bell's letters as a way to understand the tribes, learn how to talk and relate to them without making them feel exploited, and collaborate with them towards the joint goal. ZO: He really thought that her information helped them accomplish their goals. The tribes were happy that someone had taken the time to do their homework and learn who is who in the region. What was your motivation behind building the film around Bell's letters and deploying re-enactments in the historical film? ZO: It was always our intention to build the film around Bell's letters. She left around 1,600 letters. [They] were our first entry into the story, which led us to her colleagues and her family members. [In terms of the archival footage], we were looking into it as a way to explore the region visually. One of our first challenges was figuring out if we would be able to find the archival footage, which we eventually were able to do in the four-year period of research. We got to work with some 25 archives from around the world. We decided that we did not want historians to recount the story. We did not want anyone looking back. We believed that forcing viewers to flip back and forth between the present and the past would eventually bar them from immersing into the story. We decided to find a way to get that primary source material spoken or read in a creative way, and actors seemed like the best way to achieve that sense of immediacy. Bell’s letters had the sense of immediacy, so we wanted to make the whole story and the relationships between all of the players have the same give-and-take creative dialogue. We wanted to create a dialogue between the players to recreate a feeling of being in the room with the historical figures and observing them in real time. SK: Each of the people [in the film] becomes a character in the story. It is not only about what they are saying but also about how they are saying it. We did broader research on each person and their relationship to Bell. For example, in the case of T.E. Lawrence, we knew from the many letters that we had found that their relationship was very competitive. We tried to get that across in the way the actors addressed the camera. [By employing this method, we wanted to cast light on] an underlying relationship between Bell and her colleagues, which shines through in these letters. It is also a very complex and epic story to be told solely through a voiceover. In our case, re-enactments helped us do two things. On the one hand, they created an interesting dialogue [between Bell and other characters in the story]. On the other hand, they added to the liveliness of the story. Over the course of time, we got to know Bell intimately. One of the things we were not aware of was how hard she fought for everything she was trying to do— and she constantly had people in her way. She wanted to do public service and create something for the people of Iraq, like the Iraq Museum. And in the end, she was forgotten. Bell wanted to keep a low profile and was modest about her achievements. We never found footage of her, although we are sure that it exists. She was pretty adamant about not taking interviews, not letting her picture be published and not allowing her parents to accept any interviews. She was enraged when a newspaper in the US published a double-spread article about her. We read in her letter to her parents how upset she was, but then we looked at the article and found that it was completely complimentary. What challenges did you encounter when making this film? SK: One of the biggest challenges was getting funding. Funding was difficult because it is a historical film. We realized that there is virtually no foundation in the United States, except the National Endowment for the Humanities, that grants funding to historical films. The funding scheme in the US is more oriented towards social issues. That is not what we were doing. ZO: However, the positive aspect of the process was that it gave us the opportunity to find academics and build a strong network with them. We worked closely with academics from all over the world. We really wanted the film to resonate with as many people as possible. And I think we were able to do that because we were conscious of the biggest possible picture and then we tried to funnel it down to Gertrude Bell's story. SK: We also ran a Kickstarter campaign, which opened doors to a lot of individual sponsors. We decided to run the campaign in the Women’s History Month, which is March, and we thought that it would help us elevate the topic naturally. We focused on a particular part of fundraising, which was targeted at the archival material. When working with the archives, we did not want to just pump up the SD material to HD but really go back to the negatives and scan them for the first time. That was a very costly process, but it gave access to a high-quality archival material, which we believe could also benefit other filmmakers in the future. ZO: We reached our Kickstarter goal within two weeks and almost raised double of our original goal. Access to Gertrude Bell's family was another challenge. We slowly got different family members to advocate for us to be able to interview Gertrude Bell's niece, who is in her 90s. It was a long process; it took us a year. Once we got that interview, the story opened for Gertrude Bell’s family, and they were fantastic. SK: Another challenge was getting access to a film archive in Iraq, which we heard had footage from the 1920s. We heard that the archive was in a terrible state; it had been disused after 2003 and was improperly stored. We got several archival institutions involved, including the Scorsese Film Foundation, Cineteca di Bologna and the International Federation of Film Archives (FIAF). For a year and a half, we were trying to bring scholars there in an attempt to restore it. Unfortunately, by the time we got through all the bureaucracy and reached the person who could give us the green light, the government changed and the person had to step down. That was a challenge and a surprise in one package. Following its June 2nd premiere in New York City, Letters from Baghdad opens June 9 in Los Angeles and Washington, DC, with more cities to follow. Sevara Pan is a Berlin-based film journalist and writer. She previously wrote for the leading European documentary magazine DOX, an initiative by European Documentary Network, and worked on the award-winning Pipeline (Dir. : Vitaly Manski) and The First Sea (Dir. :Clara Trischler).